Long time no post. FlamesCon has been and gone. I've been meaning to post how my painting went but it didn't happen, and the Flames of War website has covered it pretty well. So instead, I'll just post some links. Now to finish the trucks and the support options! With X-mas almost here chances of posting again in 2011 are slim, but I'll still hopefully be getting some modelling done. There's my Cryx, Skorne, Han Solo, Brandenburgers, and maybe even some new US Shermans if they arrive from Malaysia. 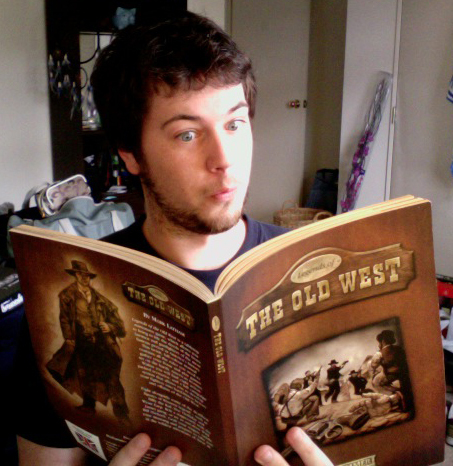 But I'm most excited to start working on a posse for Legends of the Old West! Chris ran me through a game a couple weeks ago, and I've since given his rule book a decent read, and ordered some figures from Black Scorpion miniatures, which should arrive this week.